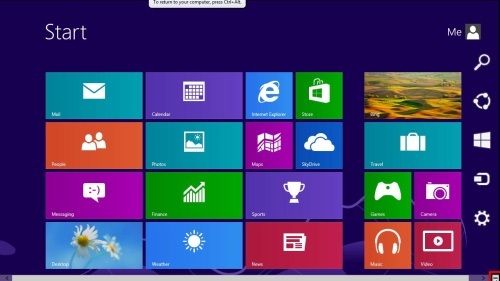 Microsoft has changed Windows a great deal with the release of Windows 8, this tutorial is going to demonstrate how to shutdown windows 8. 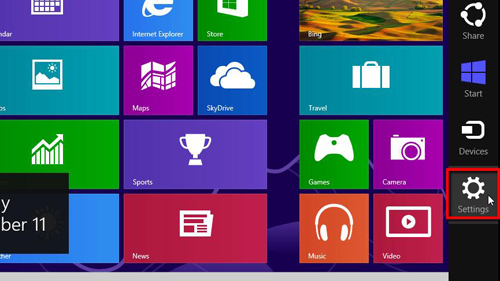 From the main screen in Windows 8 you need to move your mouse over the small square button at the bottom right of the screen. This will make the Charms menu visible to you. The Charms menu has many options that allow you to control your device. The icon we are interested in is the “Settings” one which resembles a cog. Move your mouse over this icon and it will change color. Click on it to open the “Settings” menu. In the settings menu you need to click on the “Power” icon – it is marked with the familiar power icon. This will cause a new menu to appear which has two settings, “Restart” and “Shut down”. 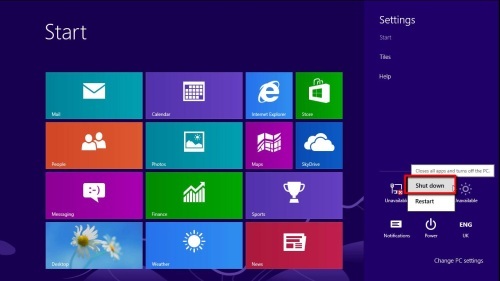 This tutorial is about learning how to shutdown windows 8so you are going to need to click the top “Shut down” option. This will cause the computer to turn off.